NRN.com - For the third year in a row, Irvine, Calif.-based cult phenomenon, In-N-Out Burger, earned the top ranking from consumers among the Limited-Service restaurant chains in Nation’s Restaurant News’ annual Consumer Picks report. 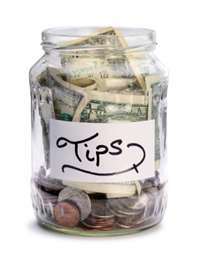 Restaurant employee wins $6 Million lawsuit from accident! News Herald.com - A Gulf County jury last week awarded a Port St. Joe woman over $6 million due to injuries suffered while working at a now-closed restaurant. Whether Evelyn Holland receives a dime remains an open question, despite a life her attorney said has been relegated to a wheelchair due to disabling injuries to her pelvis and spine. What further made the case of Holland against Gracie O’Malley’s Restaurant one for the books was that the defense was a no-show: no defendant, no defense attorney, nobody on one side of the courtroom during last week’s trial. A jury of six awarded Holland the $6 million after a trial that consumed, from opening statement to verdict, roughly six hours and which included no cross-examinations, motions or witnesses for the defense. Hooter's Waitress wins $250,000 in " Blond Streaks" Lawsuits. NBCnews.com - A former Hooters waitress has been awarded more than $250,000 after an arbitrator found that racial discrimination contributed to her getting fired. Farryn Johnson, who is African-American, was fired from her Baltimore restaurant job in August 2013 because "Hooters prohibits African-American Hooters Girls from wearing blond highlights in their hair," according to a lawsuit. While other women were allowed to highlight their hair, the restaurant manager told Johnson she couldn't be at work with blond streaks because it didn't look "natural" on African-Americans, the suit said. 51 Franchise agreements signed by Tropical Smoothie in the First QTR! Southern Expansion in the works for Newk's! The fast-casual restaurant chain, known for its culinary-driven menu and open kitchens, is expanding its footprint to meet the growing demand for its unique brand of fast casual – incorporating bold flavors and a full-service level of hospitality with fast-casual lunch and dinner fare like hot sandwiches, salads, soups and California-style pizzas. The chain is actively seeking multi-unit franchise partners to bolster its growth plan that calls for more than 200 units by 2018. World's Largest Hooters to open this Spring in Las Vegas! The more than 15,200 square foot space alongside the Palms Pool plans to seat more than 500 guests, claiming the title of World’s largest Hooters. The large poolside bar is slated to open in early May, and the two-story main dining room inside Palms will open shortly after. Chef on trial for stealing food to open his own restraurant! A head chef cheated his bosses by going on a theft and fraud 'spree' to stock up with food and equipment to open his own restaurant, a jury was told today. Emanuele Lamanuzzi, 42, was running the Pirandello restaurant in Cheltenham when the owners went away for six months leaving him in charge, Gloucester crown court was told. While they were away he used their card to buy food, drink and utensils from a cash and carry and Tesco's but those items never made it into the restaurant, alleged prosecutor Caighli Taylor. New Burger joint to spring up in South Florida! Bizjournals.com - A Central Florida restaurateur has signed a deal to bring Wahlburgers – a Boston-based fast-casual burger concept owned by brothersPaul, Donnie andMark Wahlberg– to the Sunshine State. Teen not Fired for asking for time off for cancer treatment! Chicago-based restaurant chain appears to have shifted into damage control this week following a report that one of its employees was fired after asking for time off in order to undergo surgery as part of his cancer treatment. In an interview with NBC Chicago that first aired Saturday, 19-year-old Jonathan Larson, a delivery driver at Rosebud Restaurants’ location in Naperville, Illinois, claimed he was fired by his employer after he told the restaurant he would need to take six weeks off from his job for back surgery related to his diagnosis with cancer of the brain and spine. 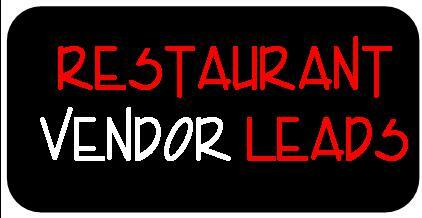 Restaurant sued for $10 million for noise and garlic smell!! 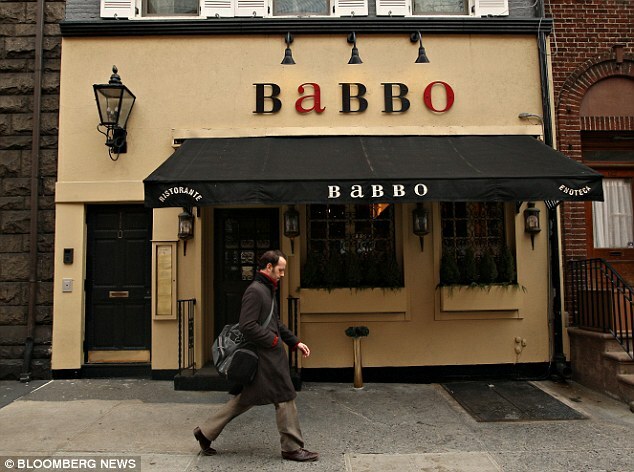 Mario Batali's Italian restaurant, Babbo, is being sued for $10 million by one of its neighbors over smell and noise complaints. Nurretin Akgul, who lives next-door to the star-studded eatery in Manhattan's trendy West Village, says he cannot sleep due to the kitchen's pungent garlic odors and noisy air conditioners. The suit alleges that Mr Akgul is having trouble sleeping because of the 'unrelenting vibrations and a chronic hum' from the restaurant's air conditioners. According to the suit, Mr Batali applied for a special permit required for a commercial eatery in a residential neighborhood last year.